What would be done in the name of atheism? 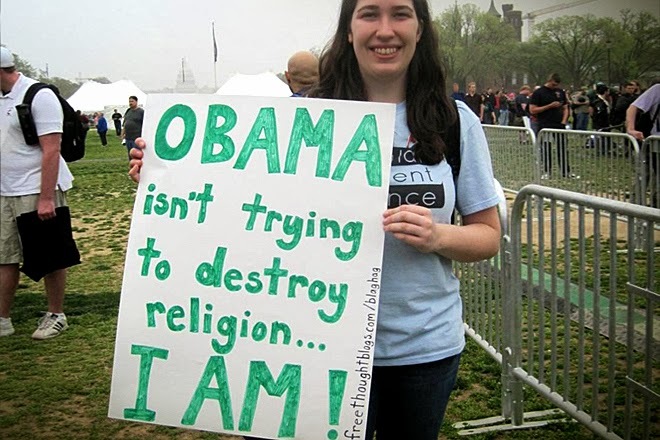 Well atheists and anti-theists often protest that Stalin, Mao, Jong Il, Castro, Hoxsa, etc. are not good examples of atheism or an atheistic state. If we ignore the fact that ever fully secularized and explicitly atheistic state has universally led to a rapid totalitarian violent culture, we are still left with the problem of what exactly atheists would do if they were no longer the extreme minority but where in control. So I wanted to hear it from them. For those anti-theists who believe that religion is evil, wicked, deluded, violent, poisons everything and to raise a child with religious beliefs is a worse form of child abuse than sexually molesting them (aka you agree with Ditchkins and Harris et al), if you were given the reigns of the nation, how would you change the laws? For example, if religious education is really more damaging to a child than sexual predation, then why would you NOT make it illegal and punishable by lengthy prison sentences? 1. I would make religion like alcohol and it should not be consumed until the age of 21. 2. I would make it illegal for any public religious displays and have all religious buildings reclaimed. 3. If people want to practice religion, they are to do it in their own homes. 4. If a parent tries to force their religion onto their child, their child will be removed and the parent punished just like any other form of child abuse. 5. Religion should be a personal belief and as such should be practiced in private, ultimately one cannot tell how a parent raises their child. No public preaching should be allowed. Churches, temples, mosques etc should not be exempt from paying taxes, religious studies should not be a mandatory subject but one via choice. Religion should in no way shape or form be involved in any politics or government legislation. 6. They’re both equally horrible. Religion and school dont mix what so ever. And I do think organized religion is evil, however, the people who attend church are not. There’s a difference between saying religion is evil, and you’re evil because you believe. a. I asked a follow up question: So people should be allowed to be religious but they cannot congregate in churches because that would be organized? He responded: Smaller non profit is fine, mega churches are ridiculous. 7. I would also have religious studies as mandatory education in primary school. In this children will be taught the origins of religions and how they were made up to control primitive people and are full of myths and legends with only very small amounts of reality. 9. I do think I would take children away from overtly theist families like the Westboro Baptist Church and such and I would have an age limit on the time you can attend church at all. 10. If the nation were to demand that I define the laws regarding religion, it's gone. Churches are closed. No prayer in public spaces. Kids get taught in school that creationism is nonsense. The usual. So the next time someone tries to tell you that nothing evil is done in the name of religion or that atheism is just the peaceful result of secularism, think again. This does not mean that all atheists are like this but atheists should not think that it is only religion when it gets powerful that commits atrocities. Like us on Facebook and Follow us on Twitter! I studied Philosophy and English at Sonoma State University, graduated Preseminary (Biblical and Theological Studies) from Moody Bible Institute, and am currently enrolled for my Masters of Biblical Studies at Reformed Theological Seminary.